August is about to end and I’d like one of you folks to start September with a brand new Gigabyte 110-D3A motherboard in your mining rig. This month, I’d like to give you one of my personal favorite boards for mining rigs. I’ve been using this model in most of my rigs so far and I can’t recommend it enough. Since it features the LGA1151 socket, the board can be equipped with the cheap yet efficient 6th (Skylake) and 7th (Kaby Lake) Intel CPUs. You can get one for as low as $29 USD on Amazon. Why do I use this model so often? For some reason, this board offers better compatibility and stability than any others I have tried. Not sure whether it’s because of the EMI protection, the high end Japanese capacitors or something else. It just works and I hope soon one of you folks will have the pleasure to employ it in one of your rigs! Who Can Qualify in the Giveaway? You are probably wondering whether the conditions are the same as in previous giveaways. The answer is yes, with one additional condition. My motivation behind the giveaways is to help the mining community. 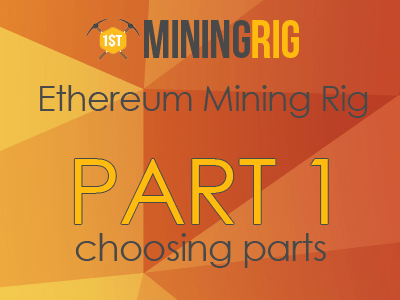 Therefore, this giveaway is meant for those of you who are into mining. Do get me right – as a gamer by heart, I love the gaming community as much as I do the mining one. However, this specific giveaway is meant for miners alone. You might not have a lot of mining experience or you might not have a huge mining rig, but if you are passionate about mining, I look forward rewarding you. In fact, your application is welcome even if you’ve got no mining rig at all – It does not matter as long as you are enthusiastic about cryptocurrencies and own some coins. So in order to participate in the giveaway, please start by sharing your story as a miner or a cryptocurrency enthusiast. The winners will be asked a quick question about mining and cryptocurrencies. It will serve as a confirmation that they are indeed into crypto. Don’t worry – if you are acquainted with cryptocurrencies you will have no issues answering it. My goal is to help people to get involved in this amazing trend and get the maximum profit from their rigs. Now, i invite you to contribute to this goal and get rewarded in the process. It is easier than it sounds. To participate in this giveaway, you will be completing a set of simple (often one-click) tasks. We will propose you to sign up to the newsletter, share the amazing giveaway with your friends, and other simple stuff like that. You are probably doing those things already, so it will be natural for you anyway. What are your chances to win? Well, let us be honest – the mining community is growing by the day but it’s still pretty small, so you won’t be competing against millions of people. In fact, your chances of winning are rather high – as long as you have the required entry points. You will get additional entry points for each referred friend, as well as for completing small daily tasks. The giveaway will be concluded in 15 days starting from today – the winners will be chosen and the items will be shipped to his/her home. Is there a better way to contribute to the mining community and be rewarded in the process? Remember – it won’t take you more than 1 minute a day to complete the tasks; in exchange, you get a good chance to win a hardware wallet ! Best of the luck, we really hope that you, the person who is reading this right now, will get the motherboard in 15 days 🙂 We stay in touch. Giveaway #4 – Ledger Nano S Hardware Wallet!